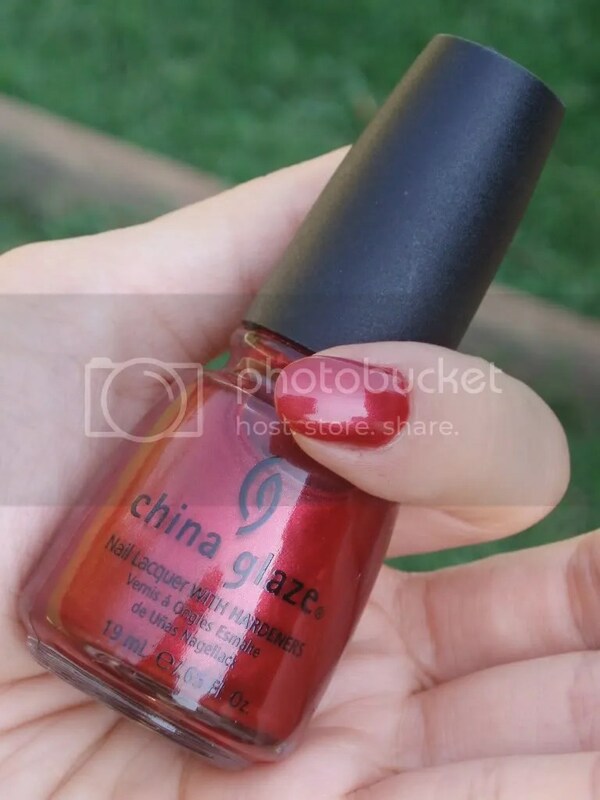 This particular shade from China Glaze is quite captivating. I Love Hue is a deep red with lots of shimmer, definitely a color to wear if you want heads to turn your way. It has a hint of orange, just barely. 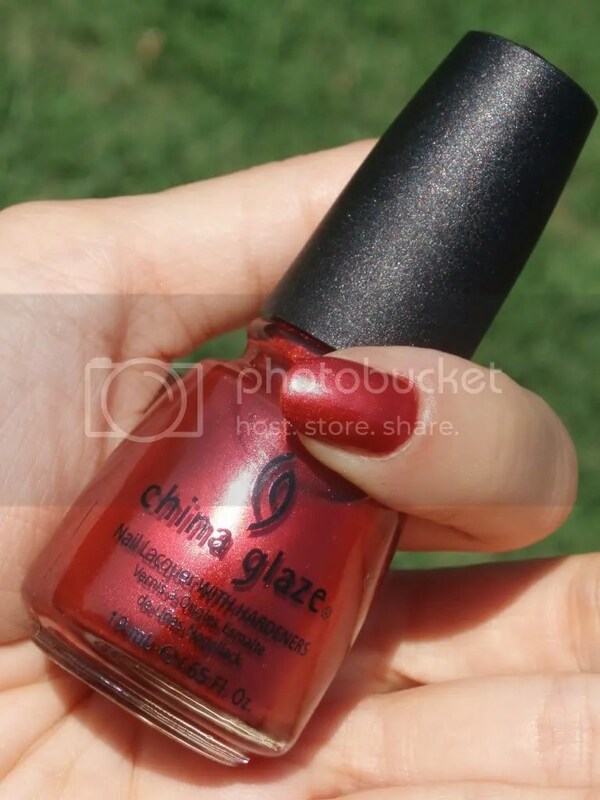 This shade is part of China Glaze’s Core Collection, a stunner for sure! The shade isn’t unique in the sense that it’s a different red from most red nail polishes. It’s still a very pretty one though. Shown is 2 coats with no top coat. It’s quite pigmented and the formula is buttery smooth. Drying time is fast for a regular shimmer shade from China Glaze. I was really impressed with this one. I did wear this one for a few days with minimal chipping, even without a top coat. China Glaze has a lot of pretty shades in their Core Collection. 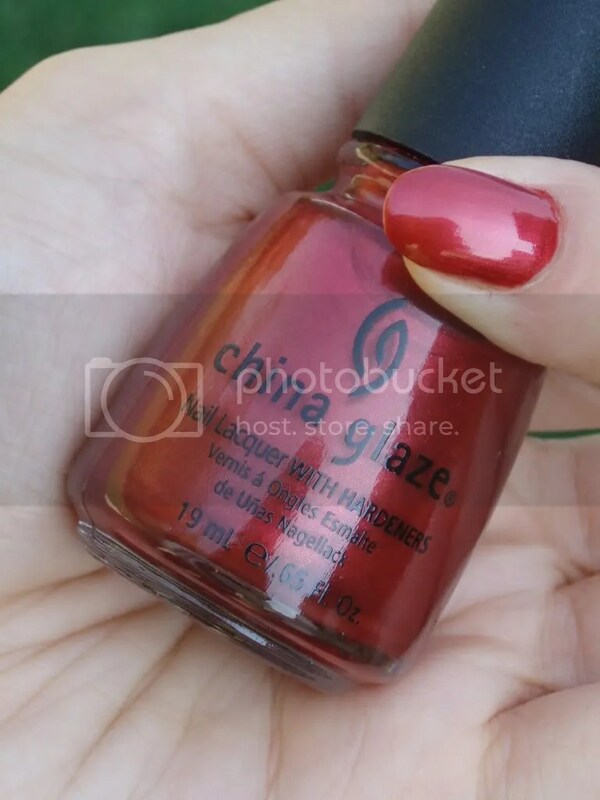 To snag this beauty, you can still find it at various nail e-tailers or in retails stores that carry China Glaze such as Sally Beauty Supply or ULTA. This entry was posted on September 27, 2010 by kittypolishnbags. It was filed under China Glaze, nail polish, shimmer and was tagged with China Glaze, nail polish, shimmer.